Knobcon is here again, which means a lot of new modules! Voltage Control Lab will have plenty of coverage on Twitter this weekend, as well as another roundup (or two) next week, but you can follow the live blog from Sonic State all weekend as well. While there will be a lot of surprises throughout Knobcon, some modules that will be on display for the first time at Knobcon have already been announced or teased online. One module that is garnering some attention is the new E950 Circuit Bent VCO from Synthesis Technology. Low-Gain Electronics is bringing 2-Bits, a 4 stage, gate controlled sequencer with an external input option. Of course, we know Roland will be there, likely showing off their new 500 series made in partnership with Malekko Heavy Industry. This list should also include modules like the new Qu-bit EON, the SSF GateStorm and WMD MIIIIX on a list that will continue to grow over the weekend at Knobcon. What modules are you most excited to see at Knobcon? What features are you looking for in new modules? Let us know in the comments below! Wondering what all that crazy gear is or how to use it? 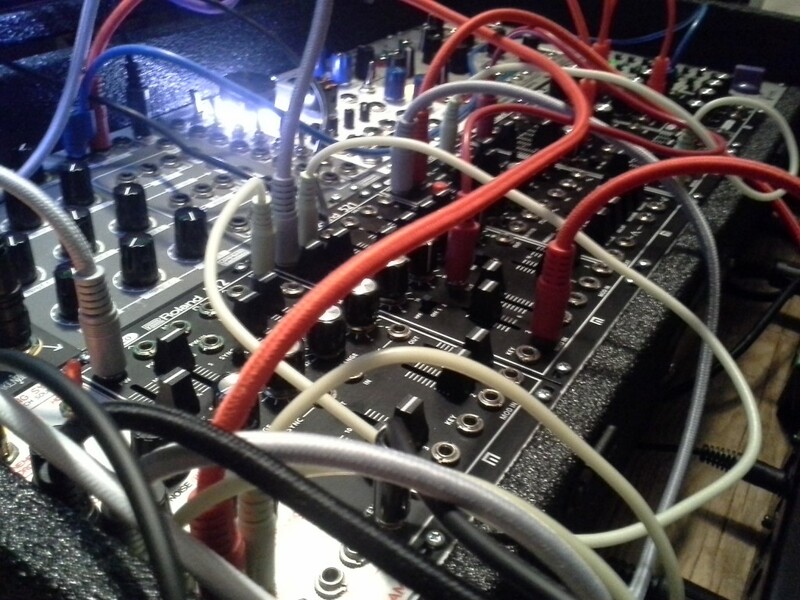 Check out our Modular 101:Intro to Eurorack course and find out! ← Knobcon 2015 This Weekend!